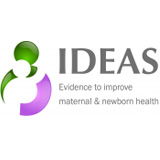 IDEAS (Informed Decisions for Actions) aims to improve the health and survival of mothers and babies through generating evidence to inform policy and practice. 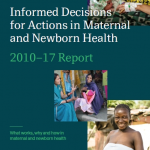 Working in Ethiopia, North-Eastern Nigeria and the state of Uttar Pradesh in India, IDEAS uses measurement, learning and evaluation to find out what works, why and how in maternal and newborn health programmes. 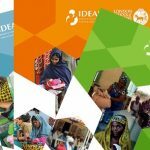 IDEAS is funded by a grant between 2011 to 2016 from the Bill & Melinda Gates Foundation to the London School of Hygiene & Tropical Medicine. IDEAS is a member of the School’s Centre for Evaluation and Maternal, Adolescent, Reproductive and Child Health (MARCH) Centre. 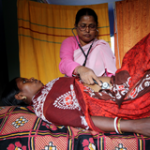 The IDEAS team is using measurement and evaluation to understand which health innovations deliver the greatest impact on maternal and newborn survival at scale, as well as why and how they work. 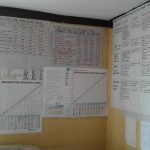 Research testing the theory of change for improving maternal and newborn health put forward by the Bill & Melinda Gates Foundation. Capacity strengthening for measurement, learning and evaluation in Ethiopia, Nigeria and India by answering 4 learning questions. 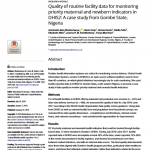 Evidence into policy and practice: disseminating findings as robust evidence to improve maternal and newborn survival. 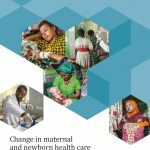 How can you get your health innovation to benefit more women and babies in Ethiopia, Nigeria and India?